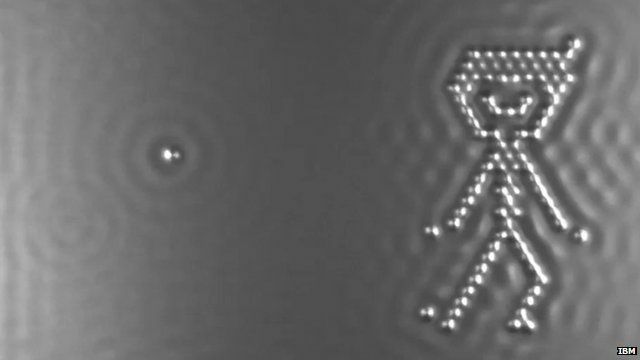 A film using single atoms to animate a boy playing with a ball, dancing, and bouncing on a trampoline, has become the world's smallest stop-motion movie. The 90-second film, made by IBM, is so small it can only be seen when magnified 100 million times. The ability to move single atoms is vital for research into data storage at the atomic level - something researchers say could increase the amount of information storable on a device by tens of thousands of times.